I’ve been trying to get pictures of dragonflies for a long time, but it’s so difficult since they hardly ever stay still. 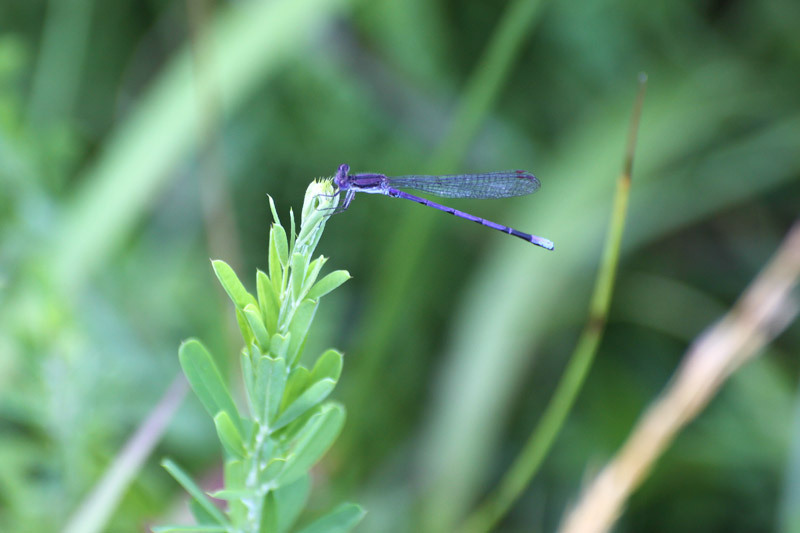 I finally got this one and another damselfly (which seem to be much easier to get photos of). The key is to go out on an exceptionally hot day because it seems even the flies have a harder time buzzing around in that kind of heat and they’ll sit for much longer! 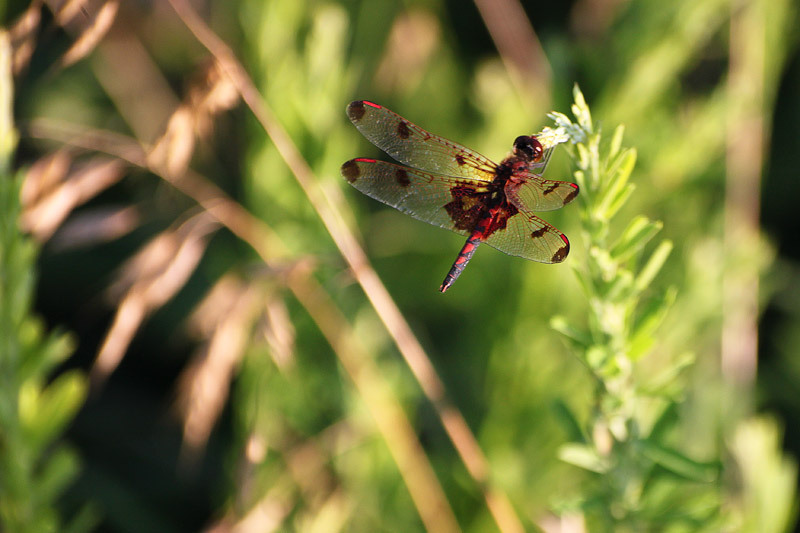 I’ve already gotten a few more good shots of dragonflies (that I haven’t processed yet or else I’d include them) by going out during this heat wave. I was sweating buckets, but it was worth it!